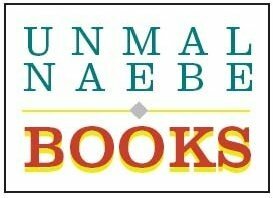 Unnameable Books is a bookstore located at 600 Vanderbilt Ave. (@ St. Marks), in the heart of Prospect Heights, Brooklyn. "We buy and sell used and new books." unnameablebooks at earthlink dot net. Please call before coming to sell books. Unnameable Books is happy to host the NYC Launch for Jessica Laser's *Sergei Kuzmich from All Sides* on Friday April 19th at 7PM. Jessica will be joined by Callie Garnett, Maggie Millner, and Christian Schlegel. Join us as we celebrate the release of the new issue of Eleven and a Half--the student-run literary magazine of Eugene Lang College at The New School--featuring works of fiction, non-fiction, poetry, art and translation from the students and faculty at the school. Storytelling NYC--Club Motte is a storytelling night that caters to those who aren’t normally the type to share. We try to remove the pressure of having to tell a story well, and instead provide the space for you to simply tell it. Deborah Woodard will debut her new translation of Amelia Rosselli's *Obtuse Diary*, accompanied by Alessandro Cassin, who will read the Italian. The program includes readings by Deborah's old friends and new. Today is Independent Bookstore Day stop in and say hi, pick up a great book (or books), and get your passport stamped. Come celebrate spring with an outdoor poetry reading at Unnameable Books! This reading features three poets from St. Louis, Montreal, and Queens: Eileen G'Sell, Virginia Konchan, and Glenn Shaheen, who will be reading from current and forthcoming books. Callie Garnett is the author of the chapbooks Hallelujah, I'm a Bum (Ugly Duckling Presse, 2015), and On Knowingness, new from The Song Cave. Her poems have appeared in Prelude, Company, jubilat, The Recluse, No Tokens, and elsewhere. She works as an Assistant Editor at Bloomsbury Publishing and lives in Brooklyn. Jessica Laser is the author of Sergei Kuzmich from All Sides (Letter Machine Editions, 2019). She most recently taught writing at SUNY Purchase and Parsons School of Design, and is currently a PhD student in English at UC Berkeley. Maggie Millner is a poet and teacher from rural upstate New York. Her poems have appeared or are forthcoming in The New Yorker, Ploughshares, Gulf Coast, and ZYZZYVA, and she holds degrees in creative writing from Brown and NYU. Maggie currently lives in Brooklyn, NY, and teaches in the Writing Program at Rutgers University. Christian Schlegel was born and raised in Berks County, Pennsylvania. His first book, Honest James, was published by The Song Cave in 2015; his favorite Jessica Laser poems include "Homework Help," "Homework Help 2," and "Rust." Join us as we celebrate the release of our 8th annual issue with readings from our contributors! Eleven and a Half is the student-run literary magazine of Eugene Lang College at The New School. We publish works of fiction, non-fiction, poetry, art and translation from the students and faculty at the school. Copies of the issue will be distributed at the event. Storytelling NYC--Club Motte is a storytelling night that caters to those who aren’t normally the type to share. We try to remove the pressure of having to tell a story well, and instead provide the space for you to simply tell it. There’s no voting and no winner. Just an empty chair, a group of people ready to listen, and a few people who have something to say. Our events are free and open to the public, and aim to elevate untold stories and unheard voices. We provide the night’s theme; our audience provides everything else. Alessandro Cassin is currently Director of Publishing at CPL Editions (Centro Primo Levi, New York). Born in Florence, Italy, he began working in experimental theater co-founding Mulita Productions International Performance Group, and was awarded the Premio Ruggero Rimini for directing Il Presidente Schreber, in 1989. He has worked as cultural reporter for publications including L’Espresso and Diario and is a contributor of The Brooklyn Rail specializing in long form interviews with artists. His book Whispers: Ulay on Ulay co-authored with Maria Rus Bojan received the 2015 AICA Netherlands Award. He coordinated the publication of Lawrence “Butch” Morris’ The Art of Conduction edited by Daniela Veronesi (Karma, 2017). Katelyn Peters is a graduate of The Evergreen State College in Olympia, WA. She works as an Editor at a Photo District News (PDN), Rangefinder and Emerging Photographer magazines. Margaret Diehl was born in Texas and grew up in New Jersey, New York, and New Hampshire. She has published one chapbook of poems, it all stayed open (2011), from Red Glass Books; two novels, Men (1988), Me and You (1990) and a memoir, The Boy on the Green Bicycle (1999), all from Soho Press. She has published poems, essays and book reviews in various journals and has poems forthcoming in Amp, Gargoyle, and Boomer Lit. She has won a National Endowment for The Arts grant and a New York State Council for the Arts grant. She lives in New York City and works as a private fiction editor. Jim Steward was published in Company: New Mexico Poets after 1970; he is a logic and programming teacher who lives in New York. Deborah Woodard is the author of Plato’s Bad Horse (Bear Star, 2006) Borrowed Tales (Stockport Flats, 2012) and No Finis: Triangle Testimonies, 1911 (Ravenna Press, 2018). She has translated the poetry of Amelia Rosselli from the Italian in The Dragonfly, A Selection of Poems: 1953-1981 (Chelsea Editions, 2009), Hospital Series (New Directions, 2015) and Obtuse Diary (Entre Rios Books, 2018). Deborah lives in Seattle, Washington, where she teaches at Hugo House and co-curates the reading series Margin Shift: Friends in Poetry. Eileen G’Sell's cultural criticism, essays, and poetry can be found in Salon, VICE, Boston Review, DAME, DIAGRAM, Conduit, Ninth Letter, Secret Behavior, and the Denver Quarterly, among others; and she was awarded the 2013 American Literary Review prize for poetry. Her chapbooks are available from Dancing Girl and BOAAT Press, and she is a features editor for The Rumpus. She currently teaches rhetoric and poetry at Washington University, and creative writing for the Prison Education Project at Missouri Eastern Correctional Center. She lives in St. Louis and New York. Virginia Konchan is the author of the poetry collections Any God Will Do (Carnegie Mellon University Press, 2020) and The End of Spectacle (Carnegie Mellon University Press, 2018), a collection of short stories, Anatomical Gift (Noctuary Press, 2017), and three chapbooks. Her poems have appeared in The New Yorker, Best New Poets, The Believer, The New Republic, and elsewhere. She currently lives in Montreal and teaches at Concordia University. Glenn Shaheen was born in Halifax, Nova Scotia, and currently lives in Queens, where he is a Substitute Assistant Professor of English at Queensborough Community College. His book of poems, Predatory, won the Agnes Lynch Starrett Prize and was the finalist for the Norma Farber First Book Award. It is available from the University of Pittsburgh Press. He is also the author of the chapbook of flash fiction, Unchecked Savagery, available from Ricochet Editions. His second collection of poetry, Energy Corridor, is available from the University of Pittsburgh Press, and was published in 2016. Carnivalia, his full-length collection of flash fiction, was published by Gold Wake Press in February of 2018. Work has appeared in Ploughshares, The New Republic, Subtropics, and elsewhere. April 11 (Th--7pm) A reading and discussion with Brittany Ackerman, author of The Perpetual Motion Machine and T Kira Madden, author of Long Live the Tribe of Fatherless Girls. April 13 (Sat--4pm) Victor Serge’s Notebooks: 1936-1947. Book release presentation with translator Mitch Abidor and Jacob Pittman. We are coming together as organizers across New York City working outside the nonprofit industrial complex to study gentrification and "development" in our city. We're going to read together the book "CAPITAL CITY: Gentrification and the Real Estate State" - a new great book by Sam Stein. Karen Lepri Whose pomes scatter odd forms of language & thinking trains to ride, legs to view, traveling through, from funk to clarity, in memory & out, observing to boomerang back in. Madeleine Braun she has burned much wood in her back yard & watched the smoke spiral outward past the city, blown Northward toward the border of falls, a peg in the wind. Peter Bushyeager's private America holds something for us all, a public declaiming of the details inside the squall, an entire rabid mall tucked inside a box, kept in the bottom of a drawer in a cabinet placed in a garret made of cedar. a kingdom of its own. We Are Already Dead features members of the Woes that like the 8-track cassette, the telegraph, carrier pigeon, & trollies (but for a few lovely exceptions) live on in some fertile reality - the members of tonight's outfit like to trip the light fantastic, albeit in slightly sepia tone, scalloped edged, cracked & creased at the corner way, where the walls crumble & the real road begins. So hope to see you at the Unnameable Books, 600 Vanderbilt Ave, near the corner of St Marks in burgeoning Prospect Heights, Brooklyn. Meet n' Greet begins at 8pm to be followed shortly thereafter by performances 8:30ish. In what's left of the white stone backyard we'll be, but if the weather turn inclement there's the snug book-lined basement. Either way the event is free. Listen for the drum. Please join us April 5th for a reading and celebration of the winners of Small Orange Journal's Emerging Woman Poet Honor with featured poet Cynthia Cruz. This event is also a fundraiser for the nonprofit organization, Girls Write Now. This year's recipient of the Emerging Woman Poet Honor is Theadora Siranian. The three honorable mentions are: LeConté Dill, Oksana Noriega, and McCaela Prentice. Cynthia Cruz is the author of five collections of poems: How the End Begins, Wunderkammer, The Glimmering Room, and Ruin. Her fifth collection of poems, Dregs, was published in Sep-tember of 2018. Cruz is the editor of a forthcoming anthology of contemporary Latina poetry, Other Musics: New Latina Poetry (April 2019) and a collection of essays, Disquieting:Essays on Silence (April 2019). The recipient of fellowships from Yaddo, the MacDowell Colony, and a Hodder fellowship from Princeton University, she teaches at Sarah Lawrence College and Co-lumbia University. LeConté Dill was born and raised in South Central Los Angeles, the granddaughter of sojourners of the 2nd Wave of the Great Migration. “LeConte” literally means “The Fairytale,” so she listens to, documents, imagines, and create stories of safety, healing, wellness, and justice. She is a scholar, educator, and a poet in and out of classroom and community spaces. LeConté holds degrees from Spelman College, UCLA, and UC Berkeley, has participated in VONA Voices and Cave Canem workshops, and was a 2016 Callaloo Creative Writing Workshop Fellow. She is the Director of Public Health Practice and a Clinical Associate Professor at NYU. Ever transdisciplinary, her work has been published in a diverse array of spaces, such as Poetry Magazine, Mom Egg Review, The Killens Review of Arts & Letters, Journal of Poetry Therapy, and The Feminist Wire. She and her husband Umberto are creating a homeplace in Bed-Stuy, Brooklyn. Oksana Noriega is a genderqueer Latina and slavery survivor. Her work has been published or is forthcoming in Utterance and Deluge, and has been nominated for a Pushcart Prize. She lives with others. McCaela Prentice is a student at Saint Lawrence University in upstate New York. She studies Biology/Public Health, and she is minoring in creative writing. She is originally from Bryant Pond, Maine. Most of her family is still up that way, and she spends a lot of time in the western part of the state and Portland. The first poem she ever published, "Junk Drawer Heart", was in her university's Laurentian Magazine. She draws a lot of her inspiration from Maine, and from her travels elsewhere. Theadora Siranian is a graduate of the MFA Program at the University of Massachusetts, Boston. Her poetry has appeared in DIAGRAM, Meridian, Best New Poets, Ghost City Press, CONSEQUENCE, and Rust + Moth, among others. In 2013, she was a finalist for The Poet’s Billow Pangaea Prize, and in 2014 was shortlisted for both the Mississippi Review Prize and Southword’s Gregory O’Donoghue International Poetry Prize. She currently lives and teaches in Brooklyn. MAR 17, 2 PM - Red Bloom Presents "Capitalism's Roots In Slavery"
SUNDAY at 2 PM: join Red Bloom: A Communist Collective as we discuss the historical centrality of slavery and cotton production in the development of industrial capitalism and management. This month's text is a selection from Sven Beckert's Empire of Cotton, and the event will feature a short presentation followed by small group discussions. Afterward, we typically go for food and drinks. We are a revolutionary communist collective based in NYC who aim to develop revolutionary practice relevant to the current conditions in NYC and beyond.